Haunted places are all over if you know where to look. America is no different. I don't think there are any countries that don't have at least one ghost story. Haunted places are all over if you know where to look. America is no different. It's a land built on blood and tears which would make it no surprise if some spirits still linger on its soil. If you're ever in Los Angeles and looking for a place to spend the night I would steer clear of 'A Stay On Main.' That's the name that was creatively given to the hotel in 2011 to help mend its gruesome image. In the late 20's the hotel opened its doors as a ritzy establishment furnished with only the finest things. That lap of luxury didn't last long with the Great Depression leaving the Hotel in one of the worst areas of town. It was nicknamed' Skid Row' because of the mass amounts of transients that stayed in the area. The misfortune didn't end there however. A string of over 10 suicides happened at the hotel over the years, including the mysterious death of Elisa Lam who was found in the hotels' water tank. Her death was ruled a suicide, but that wasn't without speculation. She was seen on hotel security cameras acting frantic inside of an elevator hours before she died. She wasn't found in that water tank until over a week later. A maintenance man had been sent to check the tank after multiple guests complained of foul-smelling water and bad water pressure. Another famous victim was spotted at the hotel before her untimely death; her name was Elizabeth Short; better known as The Black Dahlia. To further add to the deathly aura of the hotel, it also housed notorious serial killer Richard Ramirez. It's no wonder the hotel has been trying so desperately to stay afloat. 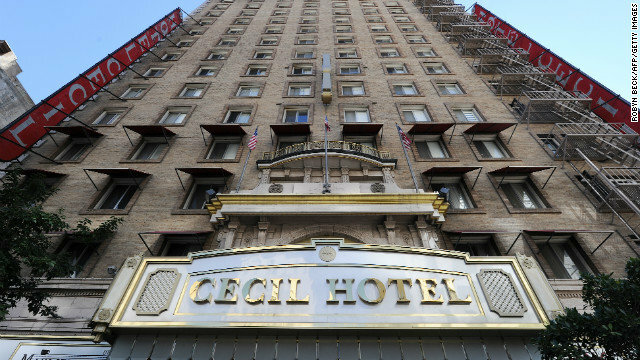 I certainly won't be staying at The Cecil if I'm ever in LA. In the early 1900's Jefferson County was struck by an outbreak of tuberculosis. The number of patients that needed treatment made the demand for a hospital urgent. That's why Waverly Hills was built. It originally housed around 50 patients, but as demand for treatment grew the hospital had to expand. 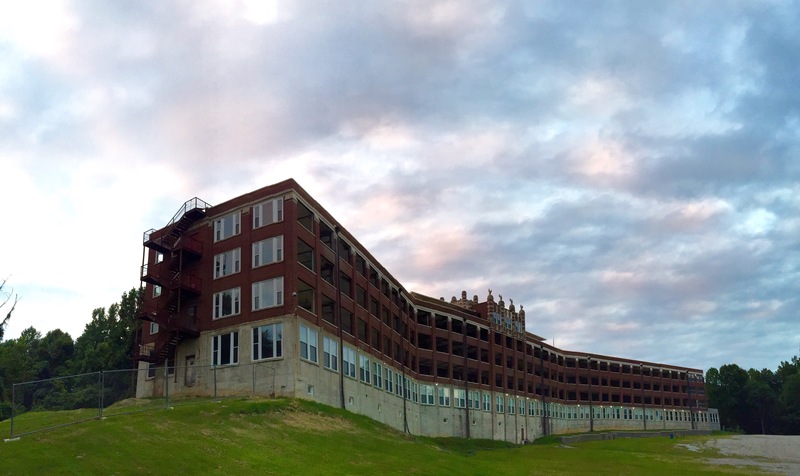 In 1926 a new hospital opened on the grounds of Waverly Hills. This massive structure could house over 400 patients at one time. The hospital thrived until 1961 when new drugs were developed to better help combat tuberculosis. This new medical breakthrough made the need for tuberculosis hospitals unnecessary and they closed their doors that same year. The next year they reopened with a new goal in mind, rehabilitating the elderly. The woodland geriatric center was open until 1982 when they were shut down for cases of patient abuse. 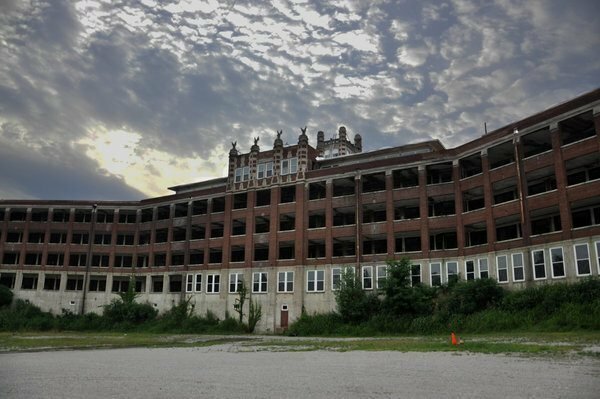 The walls of Waverly Hills saw plenty of horror stories in the years it was open, to say the least, but they didn't end when the facility closed its doors for medical treatment. If you went to visit Waverly Hills today you would find that it hasn't changed much over the years. The current owners have spent years restoring the place to its former “glory.” They hold ghost tours and events at the site and spend the profits on the restoration project. One of my favorite shows Supernatural even shot an episode at the site! It's a huge building with a lot of history so it's no wonder why they spirits inside have a lot to tell. 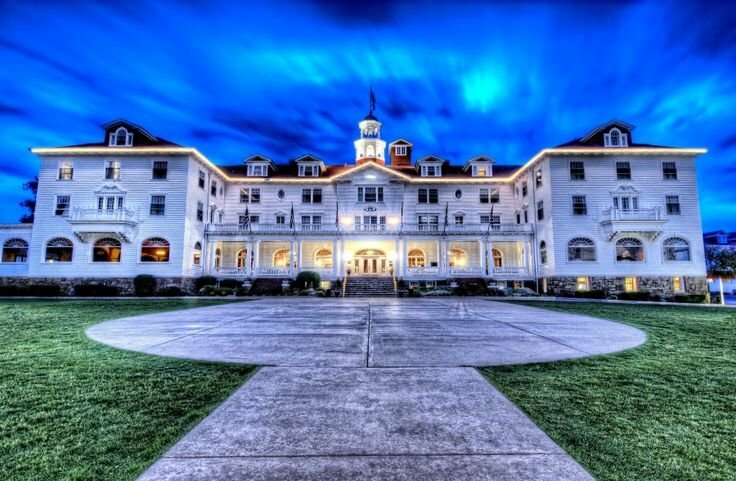 Nestled in the hills of Estes Park Colorado sits one of the most infamous hotels in existence. The Stanley hotel was built by Freelan Oscar Stanley after he was diagnosed with Tuberculosis. He decided to spend the rest of his days in the scenic atmosphere of the mountains. The air up in the mountains ended up doing wonders on his disease because he lived to the ripe old age of 91. During his life in the mountains he not only built a luxury hotel but also the first town bank, and sewer company, water company, and power company. The early years of the Stanley were fruitful and happy, but that doesn't change that sinister reputation the hotel has received. In the 70's a much younger Stephen King stayed the night in room 217 and left with an experience that birthed one of the greatest horror novels in American literature. 'The Shining' was a novel that gained massive popularity. When word got out about that site being the inspiration for the film people quickly flocked to see the place for themselves. The equally popular Stanley Kubrick film the novel is based on wasn't film there however. The sightings have been seen all over the hotel, but the hotbed for activity lies in and around room 217. Take a word of advice and book a different room if you stay there unless you don't plan on getting much sleep. 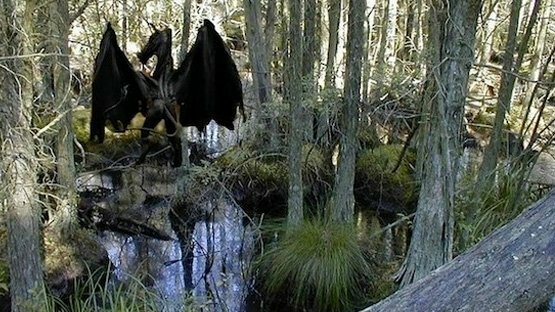 Have you ever heard of the jersey devil? If not then you are in for quite the story. Legend states that in the early 1700's in a poor town near the pine barrens a woman named Deborah Leeds had given birth to 12 children. Out of frustration cursed her new spawn saying that “The devil can have him.” The child was born looking like an ordinary baby but quickly turned into a frightening monster. He grew over 20 feet long, dawned hooves, a goat-like head, long black wings, and a forked tail. He then began to destroy the Leeds home before flying out the chimney into the night. That's how the jersey devil was born. People have claimed to see the creature many times over the years from as early as the 1700's to recently. In 1909 a newspaper got over 100 calls stating they had seen the creature. That week he terrorized the town and supposedly knocked over a trolley car in the process. A 10,000 dollar reward was put out for anyone who could find and capture the creature, but no one managed to do so. After a while, the sightings died down, but people still claim he's around the pine barrens occasionally killing livestock, and in some cases small children. Today people use the tale of the jersey devil to terrorize kids and have a good camp story, but with all the sightings over the years who's to say if he really isn't out there? If you've ever heard the phrase 'the gun that won the west' they're referring the Winchester Rifle. The Winchester Repeating Rifle was the best gun the use in combat at the time, so sales skyrocketed making the Winchesters a fortune. That wonderful fortune didn't come without a price though. Sarah and William Winchester conceived a child in 1866, but the joy didn't last long. The infant contract a disease called 'marasmus' and died in July of that year. Sarah was stricken with grief and withdrew herself from society. She was so heartbroken that her and Oliver never had another child. The tragedy of Sarah life didn't end there, with Oliver dying of Tuberculosis in 1881. She had inherited more wealth than most people could dream of, but that didn't end her suffering. A friend told her to consult a medium to see if she could contact her husband. At the time Spiritualism was a huge movement and people claiming to be able to speak to the dead were around every corner. It wasn't hard for her to find someone to help her on her endeavors. The medium she found was able to accurately describe Williams appearance and went on to tell her that the reason for her misfortune was because of the blood her fortune was built on. The Winchester rifle had killed countless people and now her family was cursed by those spirits. The medium said she to would die if she didn't sell her house in New Haven and move toward the setting sun. She would know the spot when she found it, and she would build a house for her and the spirits. She was also told if she ever stopped building the house that she would die. Soon after her consultation she moved to California where she saw a 162 acre plot of land owned by a man named Dr.Cadwell. Sarah knew this was the place she was meant to go and convinced Dr.Cadwell to sell it to her. This is where she used her fortune to hire the best contractors in the city. She kept her promise and constructed a house that was under continuous construction until the time of her death. 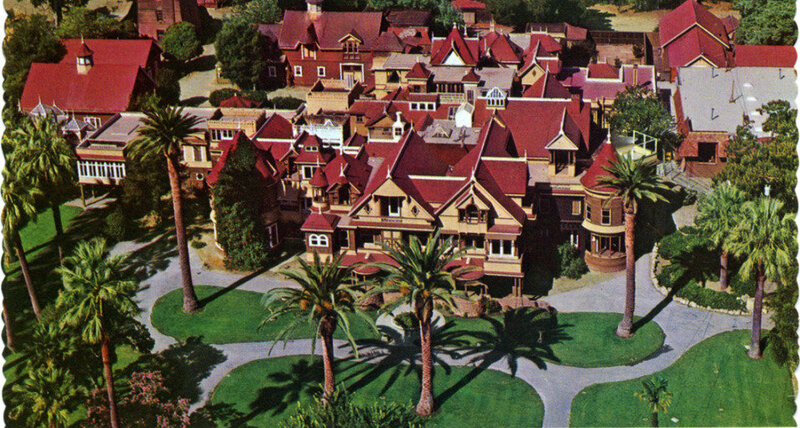 The Winchester Mystery House got its name because of the amount of architectural chaos that's contained within it's walls. Sarah had the workers build doors to nowhere, staircases that lead to nothing, and secret passages. Some say this was all because of poor designing, while others believe it was Sarahs' way of trying to confuse the spirits. She would regularly hold seances in the house in an attempt to talk to her former husband. She lived in the house until September of 1922 when she held her last seance before retiring to her room and dying in her sleep. Now the house is a historical landmark and regularly hosts ghost tours for guests. I wouldn't wander off from the tour though, it would be quite easy to get lost in a house like that.